The best thing about Madame Bovary is Emma Bovary. Foolish, deluded Emma, to be sure, but she is someone whose story creates a powerful impact, one that has remained with me since the first time I read it at 17 years of age. I seemed to feel the dreams that Emma carried for her life, and the disappointment she felt in her marriage to bumbling Charles. I understood the intrigue she felt toward the dashing Rodolphe. I was as shocked as Emma herself when she was left by him, deceived that his intentions were for good. Even her death seemed somehow romantic, in a tragic sort of way. Emma’s character interested me the whole time I read the novel. But as for Frédéric Moreau in Sentimental Education, what an indecisive, selfish twerp! He cannot decide what he wants to be: a lawyer, a painter, a landowner. He falls in love with Mme Arnoux, married woman that she is, but then makes promises to Louise Roque, the landowner’s daughter, and in fits of uncertainty holds dalliances with courtesan Rosanette. Toward the end of the novel he has even become involved with Mme Dambreuse, a woman he supposes to be wealthier than she is. A sentimentalist is one who desires to have the luxury of an emotion without paying for it. In that sense, it fits Frédéric perfectly. He says he loves Mme Arnoux, insists on it despite his actions to the contrary throughout the novel, but is not willing to sacrifice what it would require to make her his own. For certain men action becomes more difficult as desire becomes stronger. They are embarrassed by self-doubt, and terrified by the fear of being disliked. Besides, deep feelings of affection are like virtuous women: they are afraid of being discovered, and go through life with downcast eyes. All the evil scattered over the earth he naively attributed to Power; and he hated it with a deep-rooted, undying hatred that took possession of his heart and refined his sensibility. …let us confess that there is such a thing as poverty! But the remedy depends neither on science nor on power. It is purely an individual question. When the lower classes are willing to get rid of their vices, they will free themselves from their necessities. Let the people be more moral, and they will be less poor! He imagined that he had offended them, not realising what vast reserves of indifference society possesses. It was necessary to bring down the wealthy. And he represented them as wallowing in crime under their gilded ceilings; while the poor, writhing in their garrets with famine, cultivated every virtue. The hearts of women are like little cabinets, full of secret drawers fitted one inside the other; you hurt yourself, break your nails in opening them, and then find within only some dried flowers, a few grains of dust-or, nothing! They had both failed in their plans-the one who dreamed only of love, and the other of power. What was the reason for this? “‘Tis perhaps from not having kept to a steady course,” said Frederic. I read this this book in part for the Back to The Classics Challenge 2016 hosted by Books and Chocolate. I was also interested in picking it up after reading thoughts from Wuthering Expectations. Everything, even herself, was now unbearable to her. She wished that, taking wing like a bird, she could fly somewhere, far away to regions of purity, and there grow young again. Neither Charles nor the Viscount, Leon nor Rodolphe, her daughter, Berthe, nor the things she bought from Monsieur Lhereux, could bring joy to Madame Bovary. To the bitter end happiness eluded her. How tragic that Emma could not escape her discontent. She could not turn her choices around once made, and even those men who claimed to love her (Leon and Rodolphe) in the end did not. Which in my mind, gives some redeeming grace to Charles. He may have been incompetent, he may have been foolishly deceived, but he always loved her. Always. Even though it was not reciprocated. No, Emma had to fall for idols, for unattainable wishes and dreams, for fulfillment which she never could quite grasp. How ironic that all the while Charles stood by worshipping her. But the disparaging of those we love always alienates us from them to some extent. We must not touch our idols; the gilt sticks to our fingers. A big thank you to Frances, who gathered us together to read this novel. For some of us, it may have been the first time. For others, it was a third or fourth reread. But, for all of us it was a joy to share in the experience together. I learned so much from all your posts, fellow read-along participants. But the more Emma recognised her love, the more she crushed it down, that it might not be evident, that she might make it less. She would have liked Leon to guess it, and she imagined chances, catastrophes, that should facilitate this. What restrained her was, no doubt, idleness and fear, and a sense of shame also. She thought she had repulsed him too much, that the time was past, that all was lost. Then, pride, the joy of being able to say to herself, “I am virtuous,” and to look at herself in the glass taking resigned poses, consoled her a little for the sacrifice she believed she was making. Then the lusts of the flesh, the longing for money, and the melancholy of passion all blended themselves into one suffering, and instead of turning her thoughts from it, she clave to it the more, urging herself to pain, and seeking everywhere occasion for it. She was irritated by an ill-served dish or by a half-open door; bewailed the velvets she had not, the happiness she had missed, her too exalted dreams, her narrow home. In Part 2 Leon departs Yonville, to which the Bovarys have moved in the hopes of improving Emma’s humour. Unable to declare his affection for her, Leon leaves in despair for Paris, and Emma continues to flounder until the arrival of Rodolphe Boulanger. She still has the sense to disagree with the deception which flows from Rodolphe in the form of elegance, charm and fancy speeches. But, not for long. Her demise is slowly being revealed page by page since the novel began, first with her attraction for the Viscount at the ball, then Leon, and now Rodolphe who pulls away from her the more she clings to him. Her life means nothing to him. At least, not as much as his own. All the while, Emma’s despair grows. I can’t help but wonder if Hippolyte’s club foot, rotting away in the wooden box that Charles made for it, is in some way symbolic of Emma rotting away in the ‘box he made for her’ with his “incurable incapacity.” In order for Hippolyte to survive, his foot had to be removed. But, Emma is not removing anything which causes her to slowly rot away. Rather, she continues to pursue her desires with Leon even after suffering Rodolphe’s disappearance. 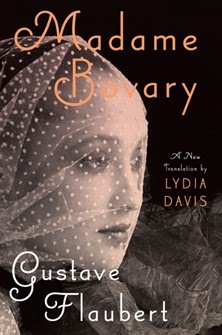 I am reading this with Frances, and others, for the Madame Bovary read-along this October. It’s a terrible thing when one’s expectations are so high they cannot possibly be met. Most certainly, if a woman is discontent with her life, a man will not be able to rescue her from it. Especially if he is a man who is kind, gentle, and unambitious. A man who is complacent at best, mundane at worst. A man such as Charles Bovary. Practically pulled through medical school by his mother’s good intentions, and rescued from a miserable marriage when his first wife died, Charles Bovary is becoming a doctor of some renown in the small town of Tostes. But, this is not enough for Emma who hopes for so much more. The ball to which they were invited was the icing on the cake. After their return, Emma mopes about the cottage; the gray wool socks she wears seem to match the gray and rainy skies both outside her window and within her soul. It is a depression born of selfishness, and it can only bring woe. All quotes are from the Barnes and Noble classic fiction edition which I have downloaded on my Nook. Thanks to Frances, of Nonsuch Book, for hosting our read-along of Madame Bovary. 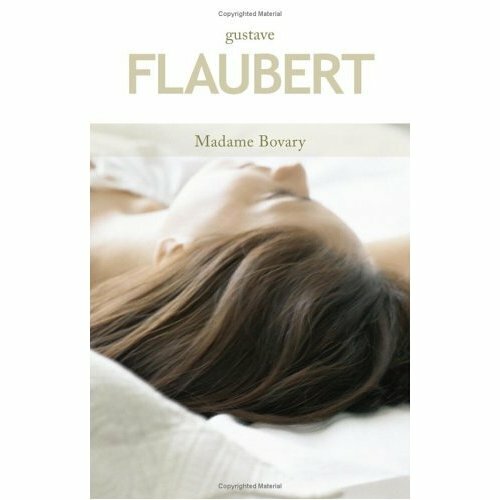 I first read Madame Bovary when I was seventeen years old. What I was doing reading it then I have no idea, except it was on my mother’s shelf, and it seemed somehow forbidden. Madame Bovary is the story of a woman, who is quite beautiful, completely unable to control her passion. I remembered her as having an affair, forgetting that she had several affairs; nothing was able to satiate her desires for fulfillment, for glamour, for lovely possessions, for excitement. The most tragic part about Madame Bovary, to me, is that she does not recognize the good she has in her life. A doting husband, albeit clumsy and somewhat ignorant, means nothing to her. A beautiful daughter, when she longed for a son, also means nothing to her. A home which she is generally able to furnish in any way she likes, is never sufficiently decorated. Being a doctor’s wife is not enough glory. Even her affairs do not bring her the fulfillment she desperately craves. Flaubert’s writing, translated from French, is tremendous. He uses exquisite phrases, minute details, an insight into his characters which is formidable. They are as alive today as they must have been 152 years ago; their emotional struggles and relationships seem as poignant to me now as they must have felt to those who suffered them then. It is a magnificent book.